LAD stores products for large industrial clients and also serves as an outsourced service and delivery partner for other companies. We use the latest technology and offer an experienced staff to ensure customer satisfaction. Our facilities offer both inside and outside storage & distribution of products. 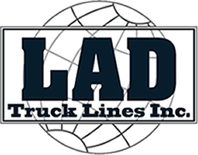 LAD is truly your full service transportation solution, we will pick it up, store it, and deliver it! If you have warehouse needs please contact us today!